Life pro tips are very popular because these are ideas that help people make their life easier and helps save time and money. Each one of us have our own ways on how to deal with daily life concerns especially when it comes to saving money. There are ways other than using coupons, deals, and buying in bulk to save on expenses. Here 6 ways for your consideration to help you stash more money naturally and practically. 1. 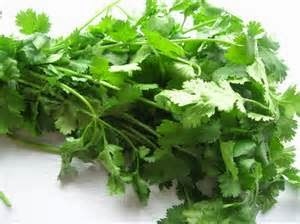 Cilantro is a popular ingredient in many popular dishes like noodles and pastas. Take note that you only use the green portion of this ingredient and throw away the root base. You can save money by dipping the roots in a container until a new leaf begin to sprout and transfer it to a pot. Doing so will eliminate frequent buying of this ingredient and you will just have to pick from your garden pots. Remember, you do not have to uproot the whole thing, just cut the green portion and leave the roots to grow more leaf. 2. 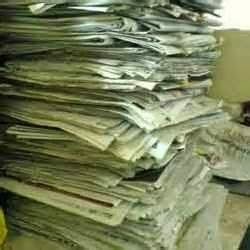 Earn more money with your trash by selling your old newspapers to recycling centers. Look around and find out if there are women rehabilitation centers that use empty bottles as materials for their livelihood projects also. 3. You can save money as well by using leaves of trees around you as floor cleaning and waxing agent. All you need to do is rub the leaves against the surface of your floors until the juices stick to the floor. Let it dry for a few minutes and scrub it using your floor polisher. Your floor will become shiny without the help of floor waxes and chemical agents. 4. Do not throw your meat leftovers. This can be recycled as an ingredient for your stew, soups, and stir fry vegetables. Left over steaks can offer additional flavor and aroma to these dishes and reusing it saves you additional cost to buy fresh meats for various dishes. 5. You do not need to call pest controllers to help you get rid of insects, ants, and mosquitoes in your home. What you can do is to not throw fruit peelings. Instead, have these dried under the sun until they become brittle when you press them a little harder. You can use dried fruit peels as a natural fumigation for your homes by burning them. Use only small portions at a time to avoid too much smoke. 6. Gardening is quite expensive considering the cost of fertilizers that you use periodically. 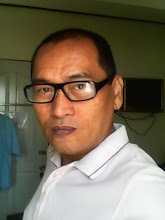 You can lessen your expenses by gathering the dried leaves, weeds, and grasses. Next, line them around your garden plot or pots and let them decompose naturally. Be sure to till and mix it with the soil from to time to time to eliminate pests and insects from cohabiting with dried leaves. The ideas mentioned above are meant to help you lessen your waste and trash while helping you save money at the same time. With these, you can practice practical methods in effort to save money.